No other writer captures like Anne Tyler, with acerbic affection and compassionate clarity, the shifts and defences of the average family struggling to keep life under control. 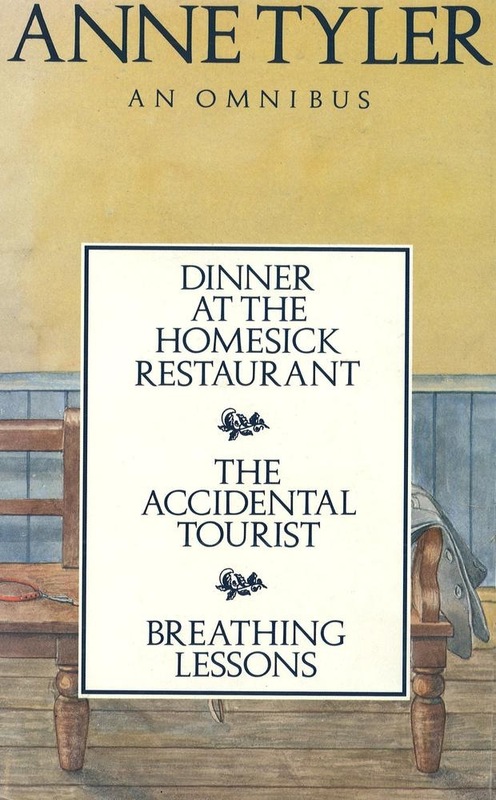 This first omnibus edition of three full-length novels, all set in the respectable Baltimore streets she has made so particularly her own, encompasses the range of eccentricities and compromises to which they are driven. 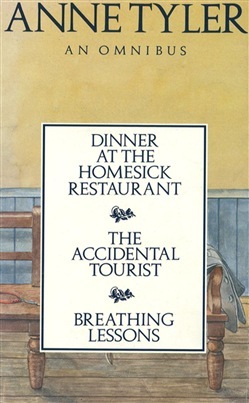 Dinner at the Homesick Restaurant follows the disintegration and eventual reaffirmation of the Tull family – fierce, embittered Pearl, left by Beck to raise handsome, thrusting Cody, Jenny, the pediatrician losing herself in devotion to others, and docile Ezra, whose attempts to unite them all around a table at his eccentric Homesick Restaurant are the focus of their differences and their bond. In The Accidental Tourist, Macon – a man of habit and routine, who writes guide books for businessmen who hate to leave home – is confronted by chaos in his own family life. Between aching sadness and glorious absurdity, Macon hesitantly emerges from his sage cocoon into the vibrant, unpredictable world of the outrageous Muriel… And Breathing Lessons, which won the Pulitzer Prize, lays bare the anatomy of a marriage. On the round trip to a friend’s funeral, Maggie and Ira Moran make detours literal and metaphorical – into the lives of grown children, old friends, total strangers and their own past – and, despite Ira’s disappointments and Maggie’s optimistic determination to rearrange life as she would like it to be, an old married couple fall in love all over again. Acquista Anne Tyler Omnibus in Epub: dopo aver letto l’ebook Anne Tyler Omnibus di Anne Tyler ti invitiamo a lasciarci una Recensione qui sotto: sarà utile agli utenti che non abbiano ancora letto questo libro e che vogliano avere delle opinioni altrui. L’opinione su di un libro è molto soggettiva e per questo leggere eventuali recensioni negative non ci dovrà frenare dall’acquisto, anzi dovrà spingerci ad acquistare il libro in fretta per poter dire la nostra ed eventualmente smentire quanto commentato da altri, contribuendo ad arricchire più possibile i commenti e dare sempre più spunti di confronto al pubblico online.